By using and changing lead tape placement, you can change your ball flight. This might be a quick cure for most golfers. But there are players who started to hit much better driver shots after putting lead tape. Putting lead tape on your driver head can dramatically change the way you feel your driver head at address and during the swing. Good thing about lead tape is you can take it off and put it on again. 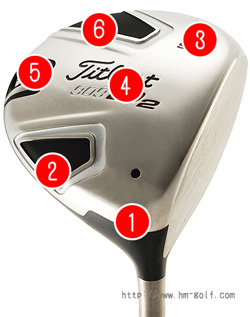 So try experimenting with it and find the spot that suits your swing. In general, the lead tape is for slight adjustment. It can't change your slice into a draw. But by focusing on the spot you put your lead tape on, it can make a difference to your golf swing.